The Jefferson Carnegie Library, Jefferson, Texas. This 1907 building is one of only five Carnegie Libraries serving its original function in Texas, and one of the most pleasing to the eye. 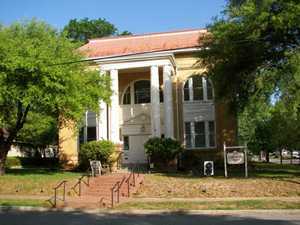 "Carnegie Public Library and Opera House, Jefferson, Texas"
"Carnegie Public Library, Jefferson, Texas"